Located in Ventura Harbor we are a first class shipyard servicing commercial and pleasure vessels to 220 Tons. Whether you’re a do-it-yourselfer or you’d like our crew of skilled journeymen to perform the work for you, select from the options above for links and more information about our facilities and how to find us, request a personal estimate, see more details about our services and take a look at some of the more interesting projects we’ve completed. Crane and off-loading services are available. Use our seafarers links to connect with other topics of interest to boaters such as the Channel Islands, marine weather, oceanography and fisheries. Our Travelift is capable of hauling vessels to 130 feet length overall, 29 foot beam and 220 tons. In addition to our large vessel Travelift, we also feature a 35 ton lift for medium to small sized watercraft. Get more details about our facility, lift capabilities, our onsite Chandlery and more. 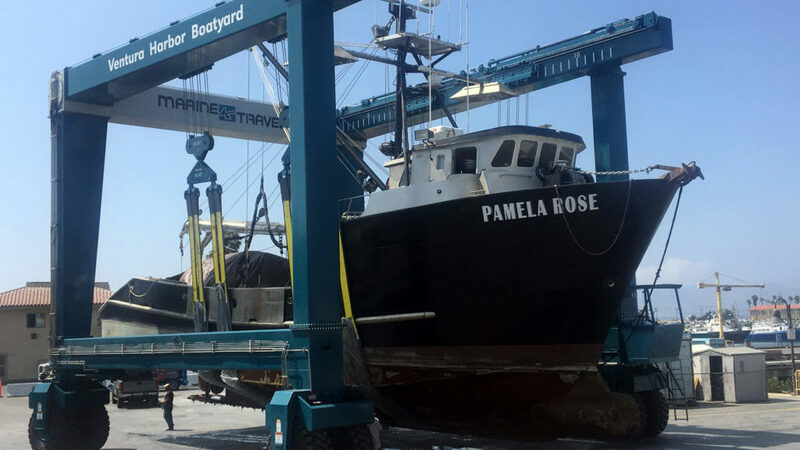 At Ventura Harbor Boatyard you can do the repairs yourself, hire our staff to do the repairs, or work with our staff to help you complete a project. We have an onsite Chandlery for your convenience. 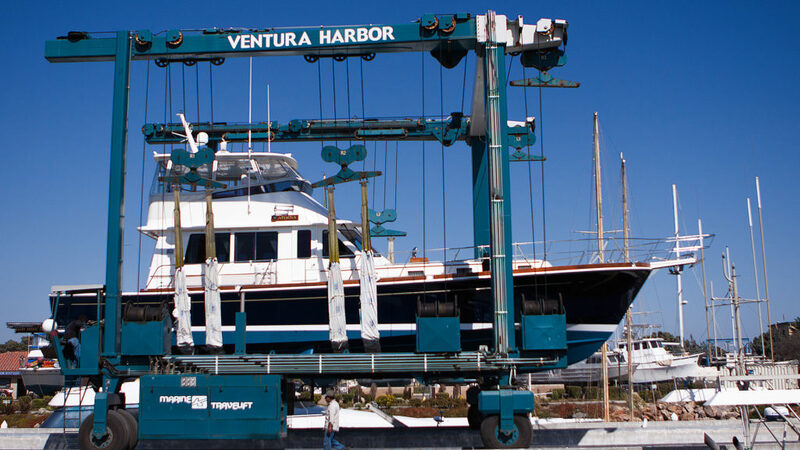 Ventura Harbor Boatyard’s mechanical expertise include a full range of commercial and recreational vessel needs. Full service marine painting and hull repair services located at Ventura Harbor California, U.S.A. I saw the VHBY post on Facebook and it reminded me that I wanted to let you both know that we have our boat for sale in San Diego and we are in New Zealand now on our new boat, a Steve Dashew FPB-64. You both were instrumental in getting V and me off to a good start in boating and we just wanted to say “Thanks”. We lived on our prior boat for 6 years and put over 14,000 miles on her. Last year we got as far south as the Galapagos Islands. We plan to continue cruising to more remote places on the new boat, but have no plans to return to the States for a while. Thanks again for your help when we were in Ventura. Service does matter. © 2018 Ventura Harbor Boatyard All Rights Reserved. - Digital Marketing & Design by Global Web FX Inc.